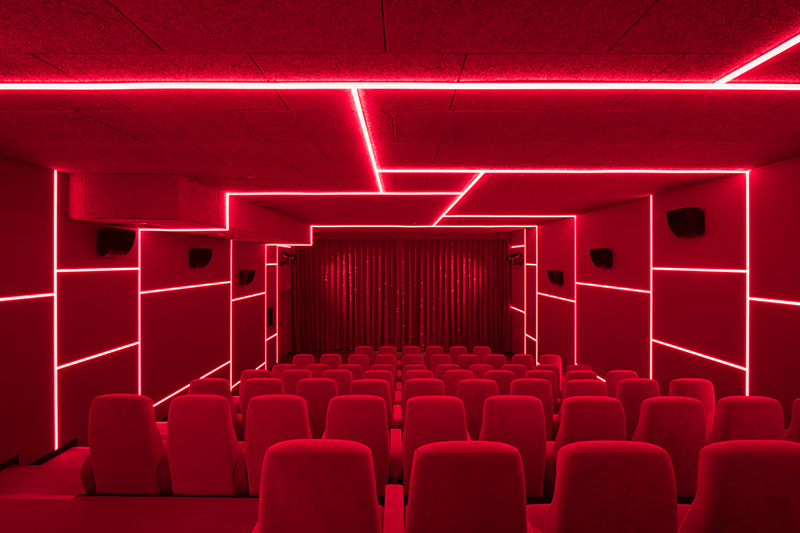 berlin-based studios batek architeckten and ester bruzkus architeckten’s design for a cinema located in an art district aims at achieving the maximum effect with minimalist construction and decoration details. 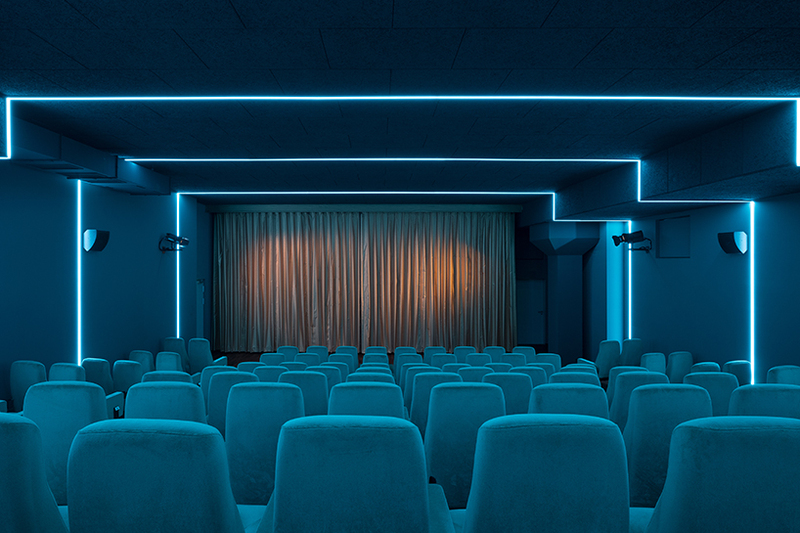 the auditoriums are all different colors — while one of them is entirely black — and are illuminated by LED color changing strips. 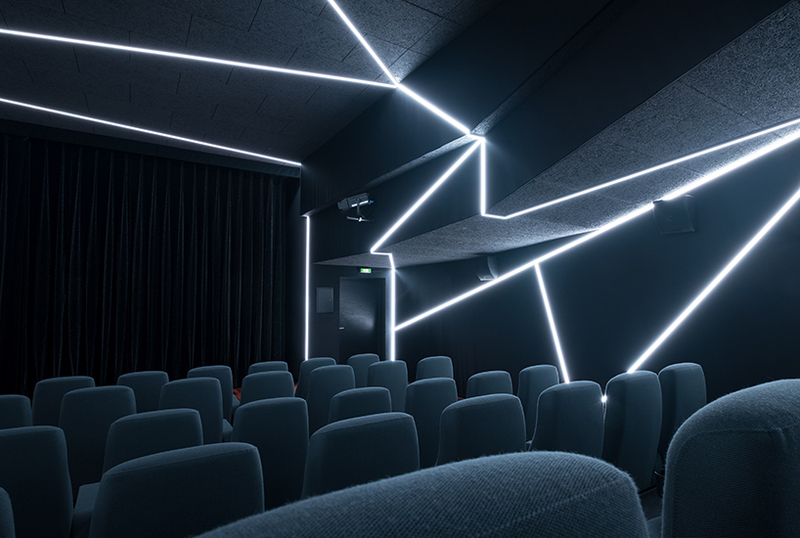 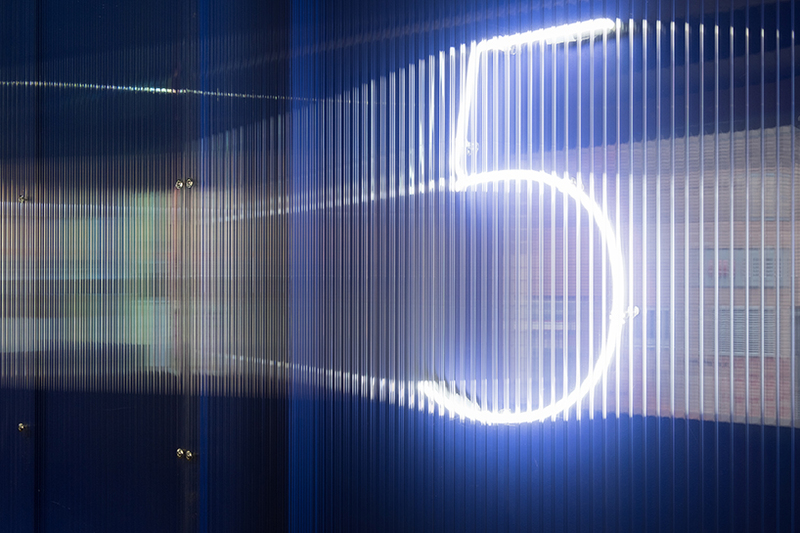 located among several art and cultural institutions, including the c/o berlin and the helmut newton foundation, bruzkus and batek’s cinema design follows the concept of each auditorium being an art exhibit in a large gallery. 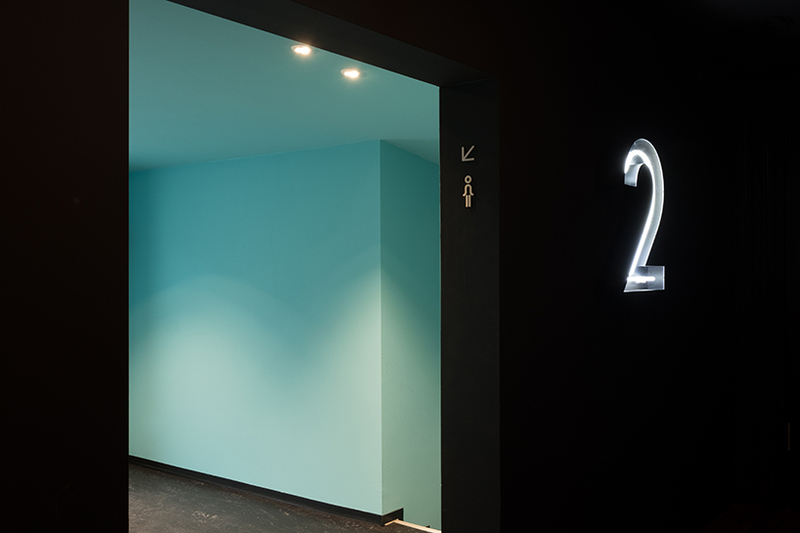 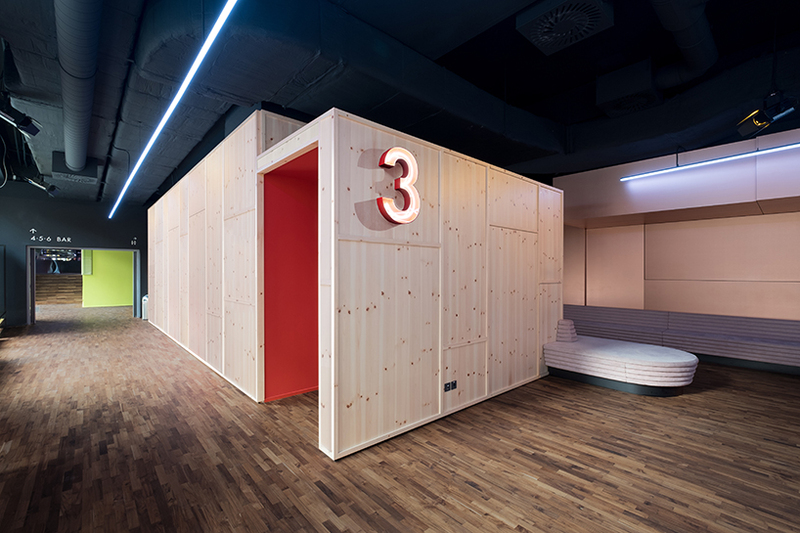 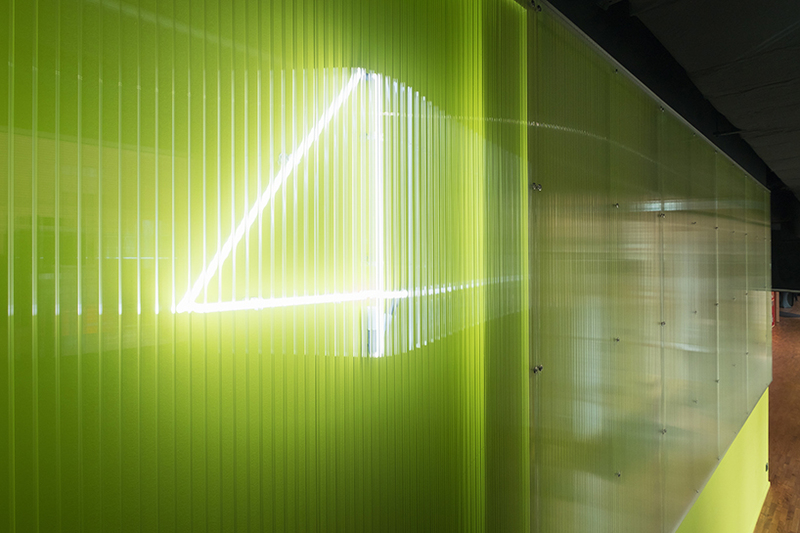 each cinema hall is its own self-contained world with clearly defined boundaries, in colorful dialogue with the interior. 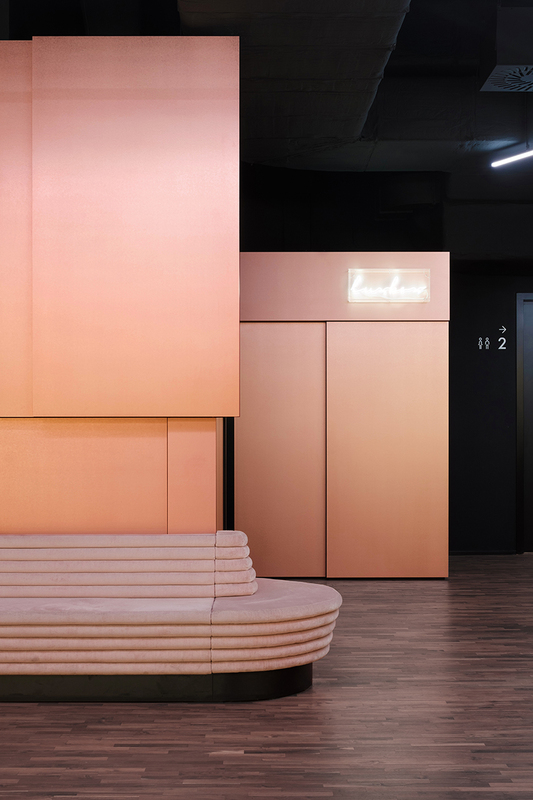 one of the halls has an outside wall covered with hand-painted wooden tiles in various shades of pink, while another evokes the back of a stage set, with pinewood cladding on the outside walls facing the entrance area. 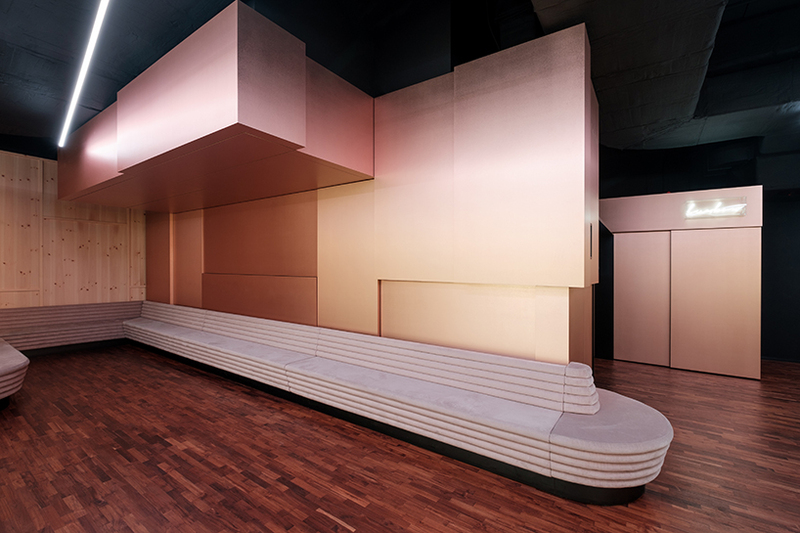 the inside of the hall is deep ‘theatre red’, with thin strips of lighting echoing the corners of the space. 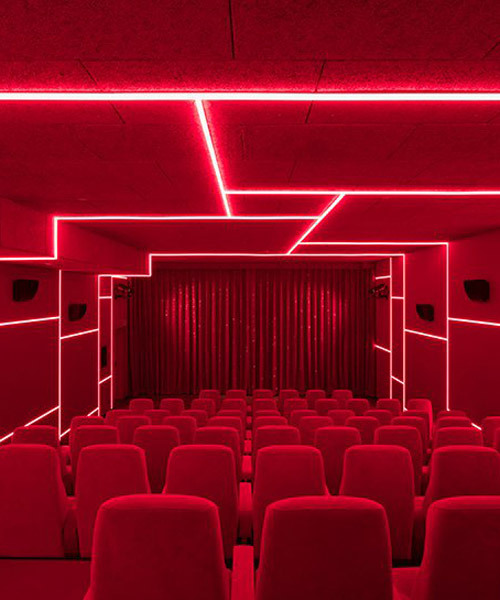 one of the auditoriums is completely black inside and forms an eye-catching spectacle with its network of light strips, that seem to dissolve the boundaries of the room — these lights can be any color desired, thanks to the use of RGB-LED technology.